The Kingwood/Humble Aggie Moms’ Club is one of more than one hundred Aggie Moms Clubs across the country. We are organized exclusively for charitable and educational purposes. and we make new friends and have fun in the process! Aggie Moms are proud, proud of Texas A&M University, proud of the daughters and sons they send to Texas A&M and proud of making a contribution: to the education of their Aggies, to the future of Texas A&M University and to the future of the Great State of Texas. 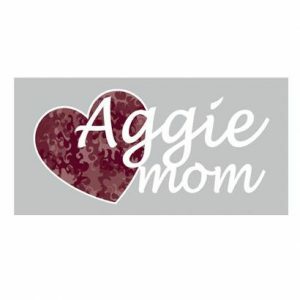 The Kingwood/Humble Aggie Moms’ Club was chartered in 1984 to provide support for current and former students of Texas A&M University and their parents or guardians. We are recognized by the IRS as a 501(c)(3) organization. We are a loud and proud member of the Federation’s District 18. We’d love to have YOU as a member!